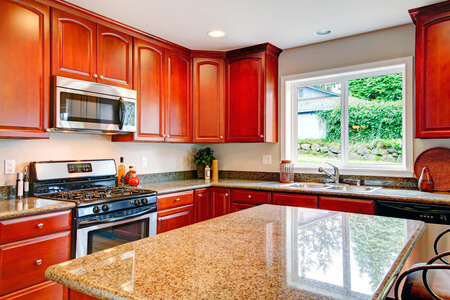 If Marble is your choice for Kitchen Countertops, then Extreme Granite & Marble is also your choice for marble. 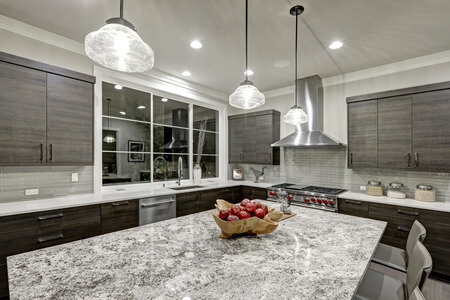 One of the most highly prized materials for kitchen countertops is marble stone. And the professionals at Extreme Granite & Marble, Inc. are industry leaders when it comes to stone products, especially marble. A very luxurious stone, marble transforms the look of any kitchen into the most beautiful room in the house. When you come to Extreme Granite & Marble you will get the best marble from various places around the world. You can be sure that you are getting the very best high quality product for your money. 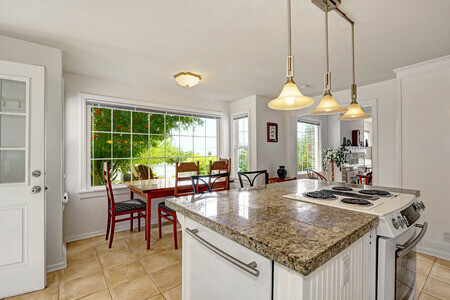 Marble countertops are heat resistant to temperatures well above anything that may be used in the kitchen area and will not burn or catch fire. They are also highly resistant to scratches, cracks, and breakage. The properties of a marble countertop make it an attractive addition to any home and the countertop will last in the home when well cared for many years. 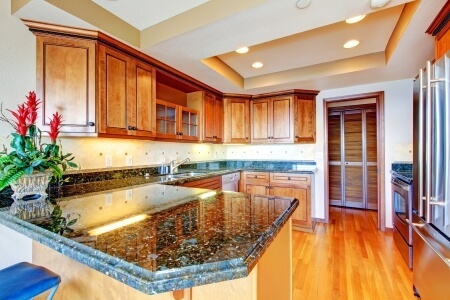 The biggest benefit of having a countertop made of solid marble is its durability. There are two choices for marble, slab and tile. Marble tiles and multiple-piece fixtures are strong and solid. With proper care and maintenance, a marble countertop can give your kitchen an elegant look for a long time. Marble is beautiful. It is cool and the texture of the surface allows for preparation of all kinds of dishes. 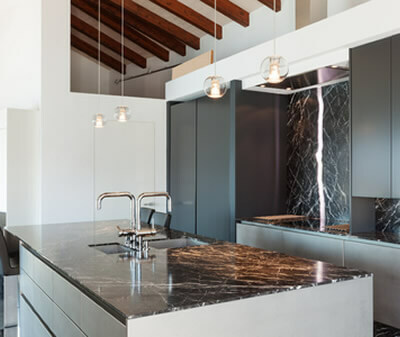 Fancy Details– Marble countertops can be fabricated to have fancy ogee edges (as well as other profile styles), due to the softness and overall workability of marble. 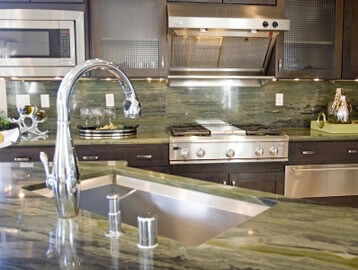 Once you choose the slab you want, allow the pros at Extreme Granite & Marble to measure, cut, and install it for you. Then, all you have to do is sit back and enjoy your incredible new marble kitchen countertops. Your chosen material will be fabricated perfectly with state-of-the-art tools. 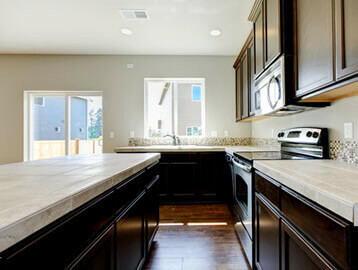 We can have you kitchen marble countertops expertly installed within one week of final measurements. Come to our Troy, Michigan showroom and see the hundreds of selections of marble available for your kitchen countertops. If you have an idea or a vision, but can’t decide on what to do, let our eager, friendly and professional design team members work with you to make your dream come true. If you live in the surrounding areas and cities near Troy, like Clarkston and Rochester, we are just near enough to invite you to the most stress free and seamless experience for your stone product projects in your home or business. Call us for a free in-home estimate. At Extreme Granite & Marble, Inc. we do it all.